I wrote the code for the Golden Search algorithm in python for one of my university classes, I really found this method interesting, so I decided to replicate this method in a functional programming language (F#). You may not be familiarized with this method, so let me give you a little introduction. Lets start by defining what's a numerical method? A numerical method is a numerical method is a procedure by which you get, almost always the approximate solution of certain problems by performing purely arithmetic and logical calculations. Now you may be asking yourself where does the Golden Search algorithm comes from? It's very interesting actually, since it comes from the Golden Ratio, you may have heard from the Golden Ratio but for those who haven't here it's a little background. 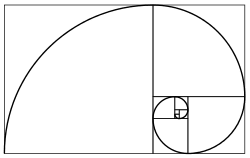 The golden ratio is a special number approximately equal to 1.618, it appears many times in geometry, art, architecture, even nature and it appears also in other areas. With that being said the Golden Search algorithm is an algorithm used for finding the extremum (minimum or maximum, in this case minimum) for unimodal functions by successively narrowing the range of values inside which the extremum is known to exist. So the Goal is to program the method in F# for a unimodal function "f" which range is [a,b], with x1<x2. To get our x1 and x2 we use R and (1 - R) (R=golden ratio value), to get the same relative position in the interval. First of all we have to understand that this function is recursive, which means we will be doing some part of the process repeatedly. Define our variables in this case a = 0, b = 2 and R = (-1 + sqrt(5))/2, also x1 = a and x2 = b. We also create a variable for the counter which will keep track of how many iterations it will take to find the minimum. Create the loop and the rest of the code will be within the loop. We create a variable Break which will start as true and when we turn this variable true the loop will break. In this case when a and b are the same the loop will stop. Create two new variables which will contain f(x1) and f(x2). Check f1 and f2 in the conditions that we define on the process. Recalculate the values for x1 and x2 with the formulas we provided in the process. Finally we print our results, the results will be shown on each iteration, but if you want to show only the final results take the print out of the loop. You can get the whole code with instructions on how to run it here. How should we optimize wealth and resources to promote sustainable development? How do we optimize our national budget so that every dollar is put to good use? Also you can use this specific method (Golden Search) in real life as a business man, when you want to find the point in which your costs are minimized or the point in which you maximize production, if your cost function is unimodal. It was hard to combine pure functions into a complete application. In my case recursion didn't feel natural. You may have performance problems like RAM use and speed. Concurrent programming is easier to implement. To conclude I really liked this experience but I'll probably not use functional programming again, because I like more object-oriented programming and have more experience with it. Like someone already mentioned your code is imperative, not functional. The first clue is that functional code does not use mutability. |||> printfn "iteraciones: %i\nvalor en x:  %f\nvalor en f(x):  %f"
How clean and uncluttered the code is. I removed extra parenthesis to make the code more clear. Use of tuples (and triplets). Type inference. F# is a strongly typed language like C# but you do not need to specify the types of every function or parameter, the compiler can deduced them. It receives the number of iteration (starting with 1) and the limits a & b. It calls itself using tail recursion until it finds a solution and returns a triplet with the total number of iterations, the solution x and the value of f(x). My suggestion to you is to not abandon functional programming. You are just starting and the more you learn the more you are going to like it, I promise. 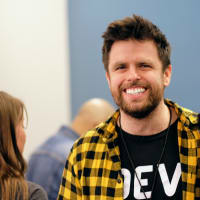 Your reason for sticking with OOP is mainly because that is your comfort zone right now, real growth happens when you venture out of your comfort zone. I really like how you approached the Golden Algorithm and how you implemented it. You are evaluating the function too often. You should only need to evaluate once for each iteration. You can see this if you put a printfn in the function and see the repeated same calls. Excellent article! Great job Juan C LR!